Aspiration pneumonia in dogs happens when the lungs become inflamed or infected from inhaling foreign substances, including vomit and regurgitated food or fluid such as gastric acid. Acid reflux is one possible cause of the condition in dogs, though there are other causes, including muscular disorders that affect the esophagus, obstructed airways, or bacteria. If you see the signs of aspiration pneumonia in your dog, it is important to seek veterinary treatment. The condition can be life-threatening, especially if oxygen flow to the airways is reduced or cut off. Here is what you should know about the symptoms, causes, and treatments for aspiration pneumonia in dogs. Symptoms of aspiration pneumonia in dogs will appear in the respiratory system, and generally affect breathing. If breathing becomes too difficult, you may see signs of oxygen deprivation. 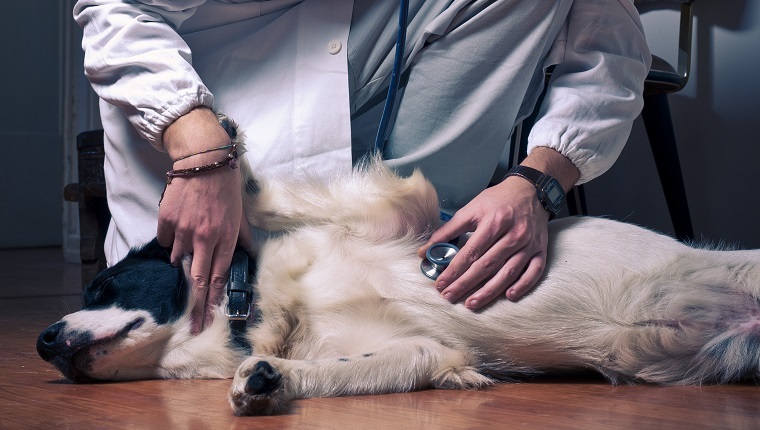 Dogs that show signs of aspiration pneumonia require immediate medical attention. Here are a few of the symptoms that appear in dogs with aspiration pneumonia. Aspiration pneumonia in dogs can be caused by abnormalities in the pharynx, as well as neuromuscular disorders that affect the ability of muscles in the respiratory system to function properly. Enlargement of the lower esophagus due to regurgitation can also lead to aspiration pneumonia. Acid reflux is a known cause of frequent regurgitation. Rarely, an incorrectly placed feeding tube can cause aspiration pneumonia, as well. 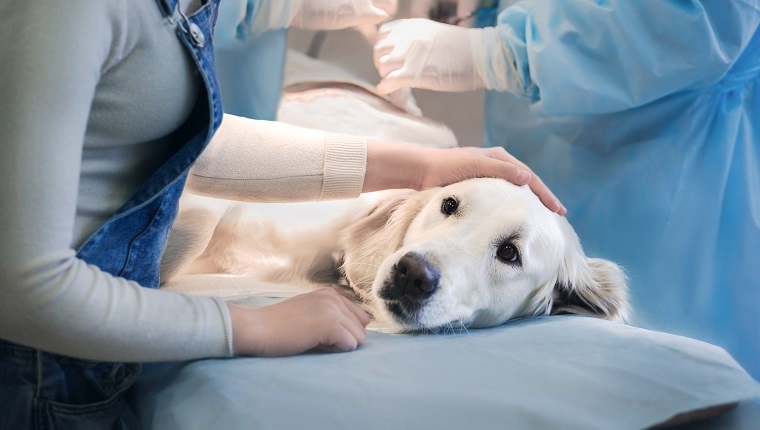 Other possible causes of aspiration pneumonia in dogs include exposure to general anesthesia, deformities such as cleft palates, or diseases that affect the esophagus. Sometimes dogs that are given medication more quickly than they can swallow may aspirate and develop the condition. It is important to administer oral medication at a pace that a dog can handle. 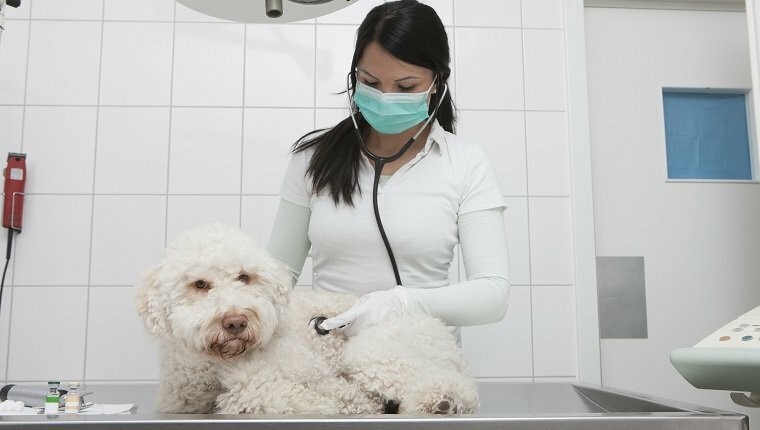 Veterinarians may treat aspiration pneumonia in dogs by attempting to remove the foreign material from the lungs that is causing the problem. They can do this through suction or other means. Oxygen may be given to dogs in the case of severe problems, and dogs that are dehydrated will likely be given intravenous fluids. 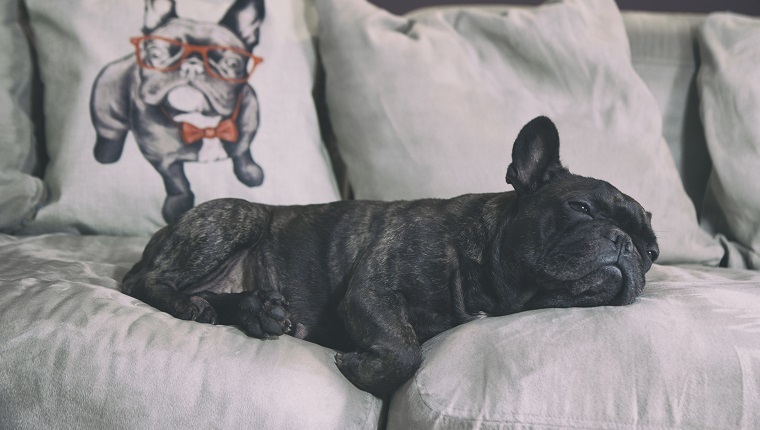 Some dogs may benefit from a humidifier to keep the air moist as they recover with plenty of bed rest. Some cases of aspiration pneumonia in dogs may be life-threatening. If this is the case, the dog may be hospitalized for several days to recover. Dogs that suffer from paralysis of the esophagus may take longer to recover. Generally, if there is an underlying cause of the aspiration pneumonia, such as acid reflux or other diseases, those must be treated, as well. Antibiotics or antiemitics may be prescribed to help with these conditions. Follow up vet visits will be needed to monitor the progress of recovery, and dogs should remain hydrated and monitored to make sure aspiration pneumonia doesn’t return.